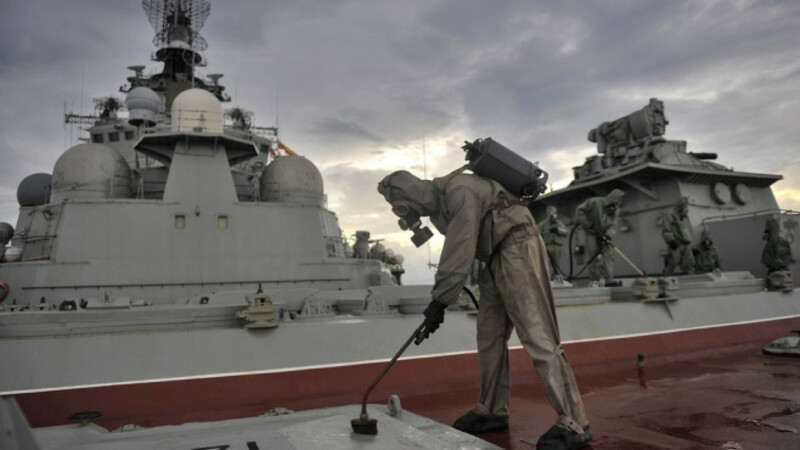 The nuclear-powered cruiser "Peter the Great" carries out exercises on radiological, chemical and biological protection in 2010. The flagship of Russia's Northern Fleet, the Pyotr Veliky (Peter the Great) battle cruiser, is on its way into a Murmansk shipyard for renovations as part of a larger program to keep the massive vessel serving for several decades. The ship, which is one of Russia's two surviving Kirov-class battle cruisers, will be put into a dry-dock at the 82nd repair plant in the near future, after dock workers have prepared the site to receive the massive warship, Northern Fleet spokesman Vadim Serga told the RIA Novosti news agency on Monday. The Pyotr Veliky's pitstop in Murmansk is part of an effort to keep the Northern Fleet flagship, which was launched in 1989, sailing until 2018, when the Sevmash shipyards in Severodvinsk have space to begin an extensive modernization of the ship. This is the preferred option to building new large surface warships, said Maxim Shepovalenko, a retired Russian navy officer, now an expert at the Center for the Analysis of Strategies and Technologies, a Moscow-based defense industry think tank. Russia is currently pursuing a three-step naval rearmament program, focusing on building new nuclear submarines in the first phase, and new corvettes and frigates in the second phase. The third phase, generally slated to take place in the late 2020s, focuses on larger destroyers and cruisers. “There is nothing better to both counter a [U.S. carrier battle group] force and project power onto an Islamic State-type rogue nation for the foreseeable future,” Shepovalenko said. “In the case of the Pyotr Veliky, we have a nuclear-powered ship with theoretically unlimited endurance [that is] a sort of versatile arsenal, stuffed with a full range of guided missiles — including up to 80 cruise missiles and 216 surface-to-air missiles,” he said. 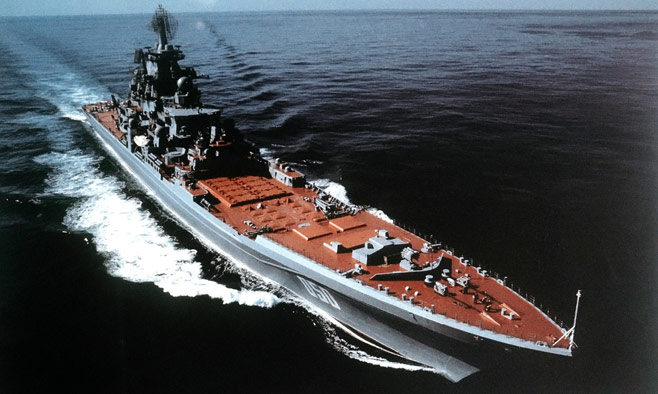 Classified by the Russian navy as a Kirov-class heavy nuclear-powered rocket cruiser, the sheer size and armaments of the Pyotr Veliky and its sister ship garnered the label ''battle cruiser'' in the West. It is the largest surface ship in any navy on the planet, with the exception of aircraft carriers. This makes the Pyotr Veliky a floating anachronism, since battle cruisers were a type of heavy warship — armed like a battleship, but faster due to lighter armor — last deployed in World War II. When the naval tactics of that era shifted toward carrier and submarine-based warfare, navies across the world retired their fleets of battle cruisers and their larger brothers, the battleships, and focused on constructing frigates, destroyers, and the occasional cruiser. But not Russia. In 1974 the battle cruiser concept was revived and modernized with the construction of the first of four Kirov-class ships. Displacing almost 24,000 tons — similar in size to a World War I battleship — the ships sent waves through Washington, which demanded a comparable ship. As part of President Ronald Reagan's 600-ship navy program in the early 1980s, and in response to the Kirov-class battle cruisers, the U.S. navy brought the legendary USS Iowa and her three sister ships out of their post-World War II retirement. The Iowa-class ships were something of a lopsided response to the Kirovs. While the Soviet battle cruisers relied on large guided missiles, the main armaments of the modernized Iowa-class ships remained their massive 16-inch naval guns, with a range of 32 kilometers — though some of its smaller guns were swapped out for guided anti-ship and anti-air missiles. 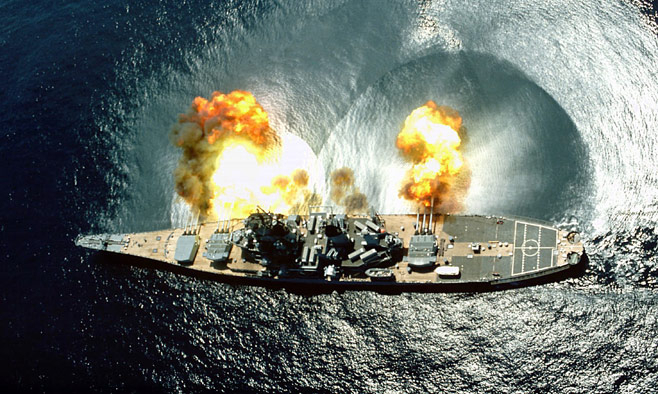 The end of the Cold War brought with it an end to the second coming of the battleship. The three Soviet Kirov-class ships in service sat rotting in the White Sea, but funds were found to complete the unfinished Pyotr Veliky in 1998. The U.S. Iowa-class, after seeing action as part of Operation Desert Storm in Iraq in the early 1990s, were eventually consigned to museum duties and stricken from the naval register. In 2011, as Russia launched a massive 20 trillion ruble ($300 billion at today's exchange rate) military modernization effort under the leadership of President Vladimir Putin, the Russian navy set off to modernize its Kirov-class ships after years of post-Soviet decay, hoping to ensure their pre-eminent role in the Russian navy for several decades. But the first two Kirov-class ships — the Admiral Ushakov and Admiral Lazarev — were discovered to be in too sorry a state to be safely operated again. Rusting away in the White Sea, the Ushakov's nuclear reactor is considered to be a serious environmental threat. The third Kirov-class cruiser, the Admiral Nakhimov, was in better condition. 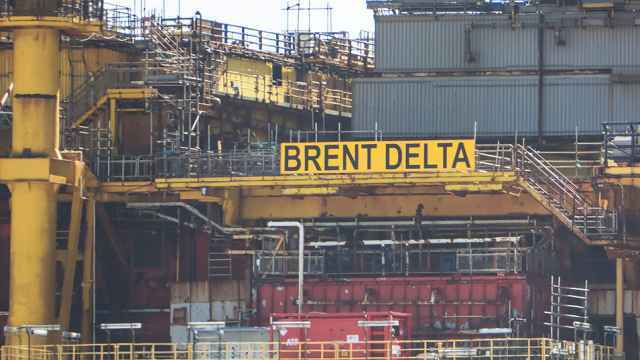 Construction on the ship was completed in 1986 and its hull and two nuclear reactors are still serviceable. In 2011, 50 billion rubles ($765 million) was allocated to thoroughly overhaul and modernize the Nakhimov. At 2011 exchange rates, 50 billion rubles was equal to the 1.2 billion euros Russia paid France for two Mistral-class helicopter carriers. France canceled the deal last year, and Russia never received the ships, but it got its money back. Last year, the head of the Northern Design Bureau, Vladimir Spiridopulo, told the TASS news agency that when the Nakhimov hits the water again in 2018 it will essentially be a new ship, surpassing the combat abilities of the Pyotr Veliky. This will give Nakhimov the honor of being Russia's most powerful warship, but that is a distinction that won't last long. The head of Russia's navy, Admiral Viktor Chirkov, told RIA Novosti in June that the Pyotr Veliky will go in for the same modernization treatment when Nakhimov is done. 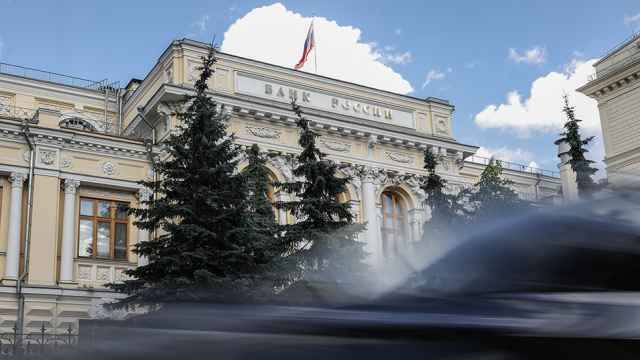 No price tag was given for the cost of the Pyotr Veliky's overhaul, but the collapse of the ruble last year has driven up costs throughout Russia's defense industry. Shepovalenko of CAST estimated that it could cost Russia up to 117 billion rubles ($1.7 billion) to overhaul and operate the Pyotr Veliky for another 30 to 40 years. “For your reference, the cost of one [modernized Kirov-class] battle cruiser roughly equals in cost 2.5 brand-new Admiral Gorshkov-class (Project 22350) frigates or 5 Steregushchy-class (Project 20380) corvettes,” he added. Though it’s not clear that the revival of the Kirov-class will again prompt a revival of the battleship in the U.S. navy, the question is again being raised by defense industry observers in Washington, especially as China eyes building its own class of battle cruisers.